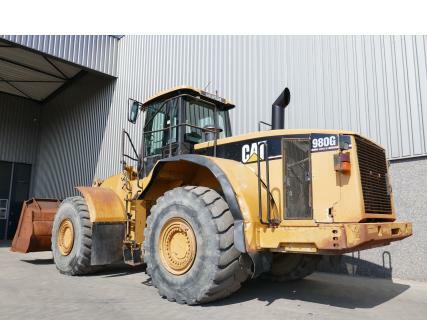 Caterpillar 980G Series II, Delivered new in 2006, E-rops cab with airconditioning, 6 cylinder turbocharged Cat 3406E engine with 300HP (220kW), 4 speed automatic transmission, refurbished GP Cat bucket with new wear parts, Command Control Steering system, ride control, 29.5R25 tyres, front and rear work lights, 38.550 Kgs operating weight, CE marked. Machine comes straight out of work and is in clean condition. Inspections are welcome.